Almandite garnets are the deep red color that most people think of when they think of garnets. 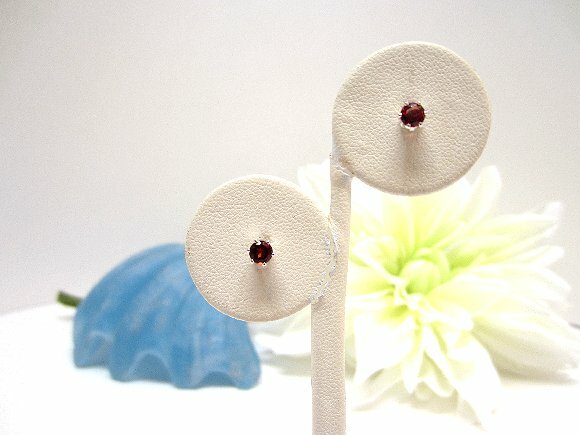 I?ve set matched faceted 4mm round almandite garnet stones in sterling silver findings to make dainty stud earrings. The faceting in the gemstones only makes the color even more vibrant. 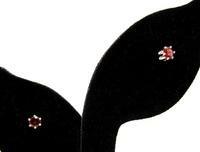 If you'll look at the third image, you'll see a comparison of almandite garnets to rhodolite garnet stud earrings. 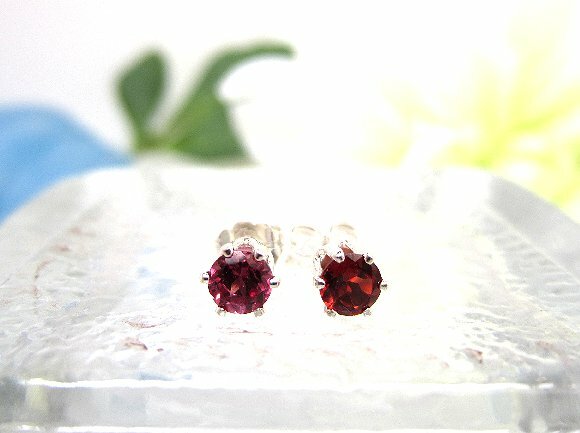 We have both varieties of garnet on offer in our lovely sterling silver stud earrings ... plus other stones, with more to come. At prices that are low even for SPARKLE PLENTY, buying multiple pairs is definitely an option.